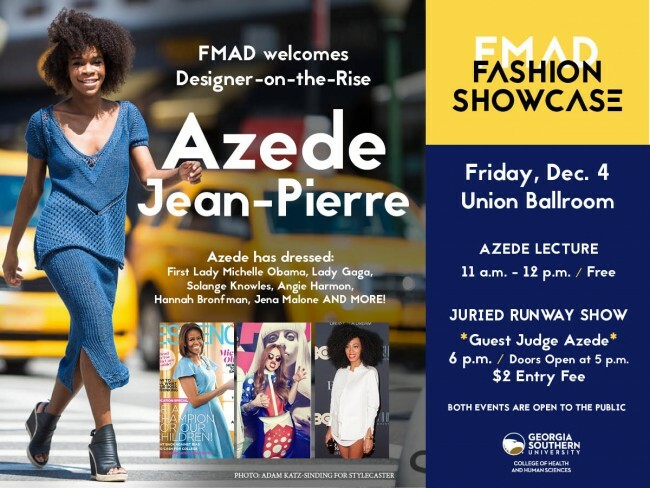 Georgia Southern University’s Fashion Merchandising and Apparel Design (FMAD) program and Fashion Menagerie, Georgia Southern’s premier fashion student organization, will host fashion designer Azede Jean-Pierre for a lecture and guest judge at the student Showcase, set for Friday, Dec. 4, in the Russell Union Ballroom. Jean-Pierre is a fashion designer whose young womenswear label is based in New York City, and has been committed to celebrating the sensual femininity of its customer since the company’s inception. Jean-Pierre was born in Pastel, Haiti, and was raised in Atlanta, Georgia. After three years as a student at Savannah College of Art and Design, she decided to launch her own label and later moved to New York City and honed her skills interning at Ralph Rucci and Ohne Titel before branching out on her own. Jean-Pierre’s collection has been picked up by Moda Operandi, Chalk Boutique in Chicago, VOD boutique in Dallas, Exodus Goods in Nola, Tinker Tailor and the brand’s online store. The label has also been featured in many major publications and has become a red carpet favorite for several very stylish and influential celebrities like Solange Knowles, Lady Gaga and First Lady Michelle Obama. Jean-Pierre will present a lecture at 11 a.m. during her visit to Georgia Southern, and will hold a question and answer session along with private critiques for senior design students at 3 p.m. She will then be a guest judge for the Showcase, set for 6 p.m. in the Russell Union Ballroom. The Showcase, which is a runway show and styling competition, includes work from current FMAD design students as well as local and student stylists and alumni. Tickets for the showcase are $2 and may be purchased at the door or in advance through Fashion Menagerie Fashion Organization. The FMAD program area, part of the College of Health and Human Sciences’ School of Human Ecology, has two areas of emphasis, fashion merchandising and apparel design. The program of study provides a broad liberal education with a focus on the diverse careers in textiles, apparel production and fashion industries. Students receive specialized training in fashion illustration, pattern making, draping design, manual and computer aided design and fashion buying. The program has been named one of the top fashion merchandising schools in the United States by fashion-schools.org. 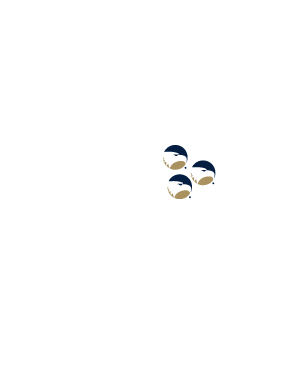 In a review that looked at more than 200 institutions and their academics, admissions, programs, faculty and other criteria, Georgia Southern ranked among the top 25 percent in the nation and made the top schools list at 49. The University was also ranked ninth on the list of Top 15 Fashion Schools in the South. Notable fashion alums: Mychael Knight – Celebrity fashion designer, Emily Bargeron – Fashion Designer Mamie Ruth, and Diane Bailey – Designer/ Owner Bailey Boys.